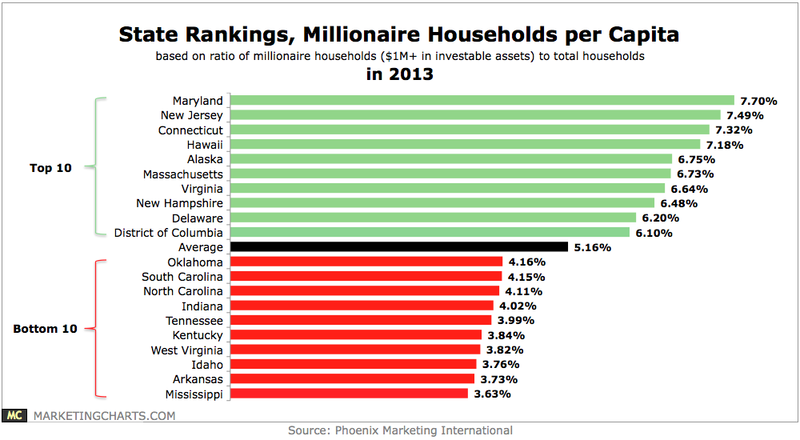 Last year, almost 5.2% of the US’ 119.2 million households had more than $1 million in investable assets, according to [pdf] a study from Phoenix Marketing International (PMI). But those per capita figures varied widely from one state to the next, with the top state by this measure having more than twice as many millionaires per capita as the bottom state. From 2006 through 2013, three different states have held the top rank, while one has lagged at the bottom each of those years save for 2012. In 2013, New Jersey and Connecticut each moved up a spot, taking the second and third positions respectively. Each of their millionaire household ratios (7.49% and 7.32%) would have taken the top spot in any of the prior 7 years, a function not only of rising millionaire ratios across the country, but also of above-average growth in those states. Rounding out the top 5 in 2013 were Hawaii (7.18%) and Alaska (6.75%), with Massachusetts narrowly missing out (6.73%) after taking the 5th spot in 2012. Global mobile advertising revenue nearly doubled in 2012, increasing from $4.9 billion to $9.1 billion. 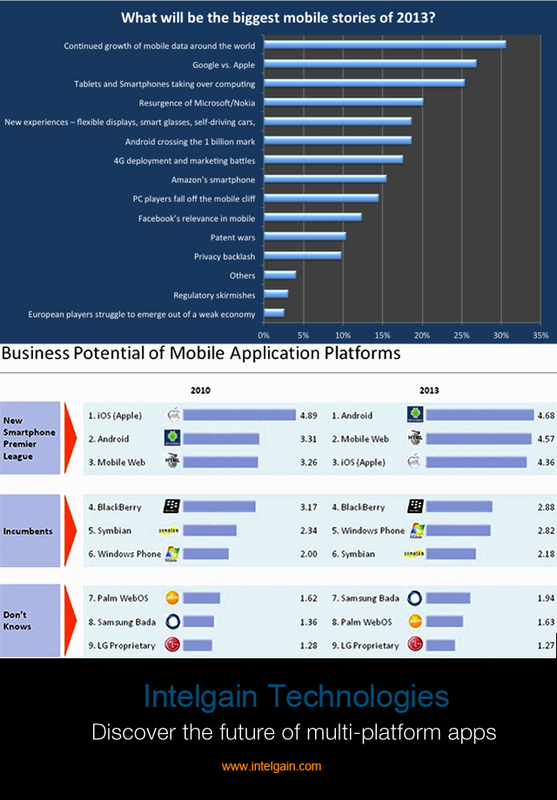 That's according to a study conducted by the Interactive Advertising Bureau and market intelligence group IHS. The report identifies the Asia/Pacific region as the largest mobile ad market in the world with revenue of $3.66 billion in 2012. At $3.63 billion, the North American market is just slightly smaller and Europe follows third with mobile ad spend of $1.54 billion. 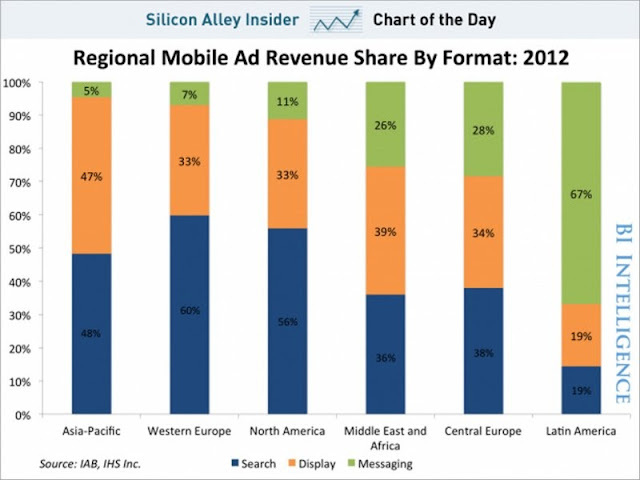 The fact that mobile ad spending in Asia/Pacific exceeds the North American level appears surprising at first, but there is a simple explanation for it. The only reason for the high level of spending is the sheer size of the Asian market. Looking at ad spend per mobile subscriber delivers an entirely different result. 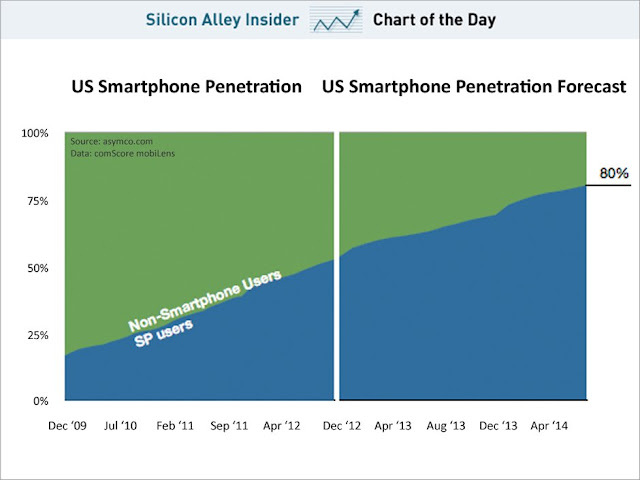 It is in fact North America that is far ahead in mobile monetization. 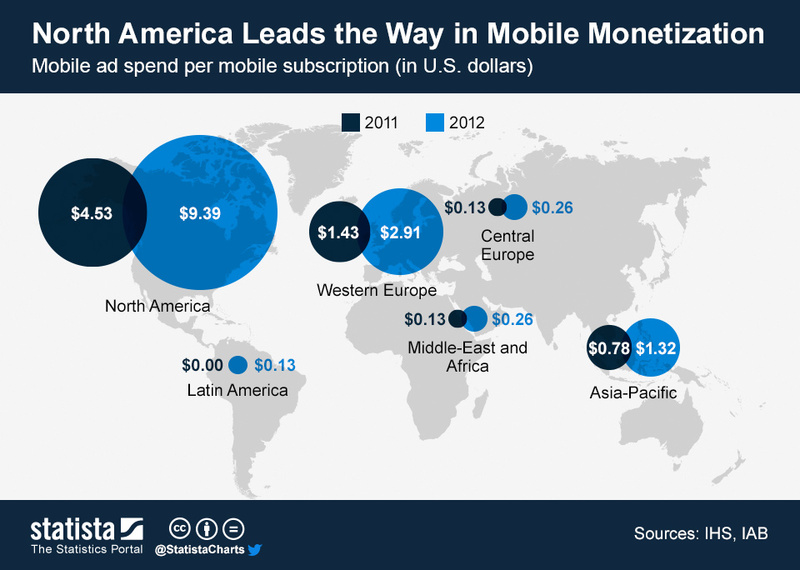 In 2012, average ad spend per mobile subscription in North America was $9.39, whereas it was only $1.32 in Asia/Pacific and $2.91 in Western Europe. 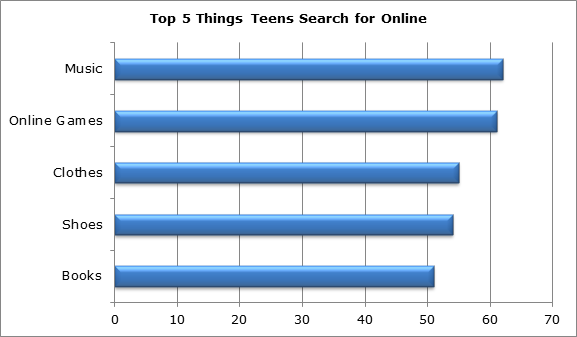 They may be digital natives, but American teens don't fancy everything digital. According to data provided to MarketingCharts from a new study from Research Now and KYA BrandResearch, American teens strongly favor offline to online ads across a variety of measures.  The respondents were presented with several statements about ads and asked whether each statement applied more to online ads (such as on Facebook, search engines), more to "real-life" ads (such as those on the TV, radio, posters, and magazines), or whether the statement didn't apply. 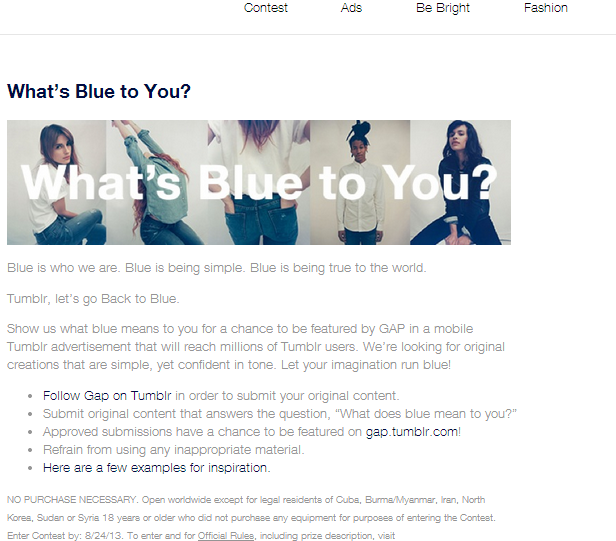 The results indicate that online ads have a long way to go in winning over teens. 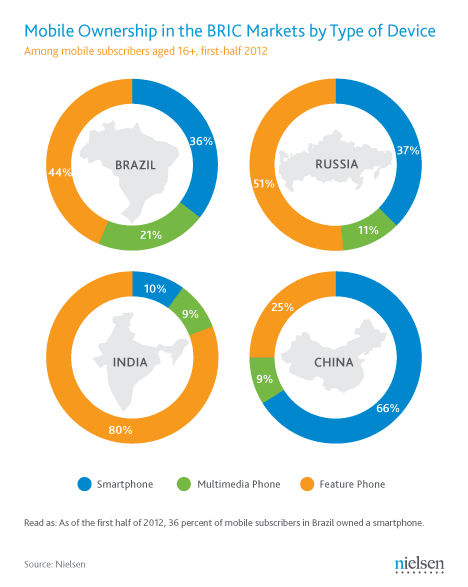 According to new research from Nielsen, China is the only country among the high-growth BRIC (Brazil, Russia, India, China) markets where smartphones are predominant, owned by two-thirds of Chinese mobile subscribers as of the first half of 2012. In three of the high-growth BRIC (Brazil, Russia, India and China) markets, using multiple mobile devices is becoming the new norm. 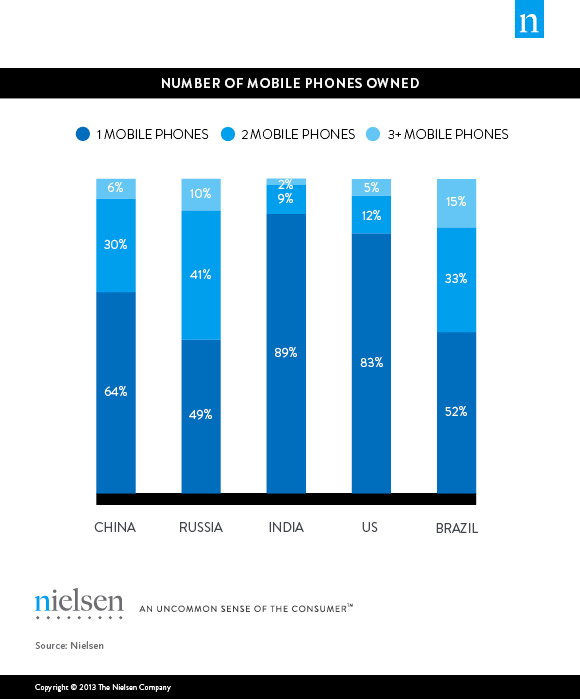 In India, however, the overwhelming majority (89%) of mobile owners still only carry one device, much like in the U.S., where only 17 percent of mobile subscribers own more than one phone. UK No. 1 Country in Mobile Ad Spending per User - eMarketer: Mobile advertisers in the UK spend more trying to reach each mobile internet user in the country than anywhere else in the world, according to new estimates by eMarketer. By this metric, the UK topped the overall-larger US mobile advertising market, as well as Japan and Scandinavian countries. Advertisers spent $36.35 per mobile internet user in the UK in 2012, higher than any other market worldwide. Norway came in a close second, at $35.71 per person. The US has the third-highest spending per mobile internet user in the world; advertisers in the country spent an average of $31.50 to reach each one. Japan, which is the world's second-largest mobile advertising market in terms of absolute dollars, saw advertisers spend $26.23 per mobile internet user, putting it behind Denmark and in fifth place. 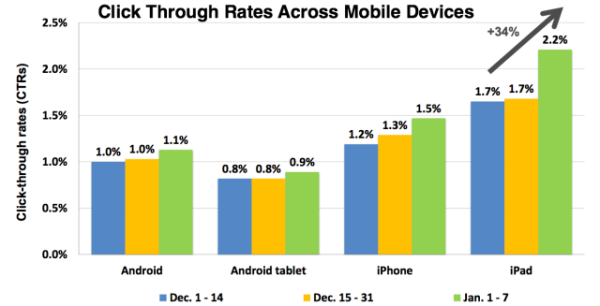 Google skips tablets, enhances AdWords for more targeted smartphone campaigns | TabTimes: Google has announced enhancements to its AdWords platform designed to let advertisers better target potential customers across devices, location and even time of day. The new features let advertisers schedule an ad campaign to run at certain times of the day, location or type of device, though surprisingly, this last option appears limited to smartphones, not tablets, at least as a distinct ad target. Google lists examples of how smartphones can be used in enhanced campaigns while it claims tablets are increasingly being used in the same way as desktops. However what is being debated that why " Tablets" have been left out from the list ogf devices , Google is saying you aren’t going to be able to specifically target tablets separately for this,” Greg Sterling, Senior Analyst with Opus Research, told TabTimes. Sterling said mobile ads have traditionally been harder to track than online ads directed at desktop users and Google hopes the enhanced AdWords will generate more mobile revenue by giving potential advertisers more options and easier ways to target mobile users.